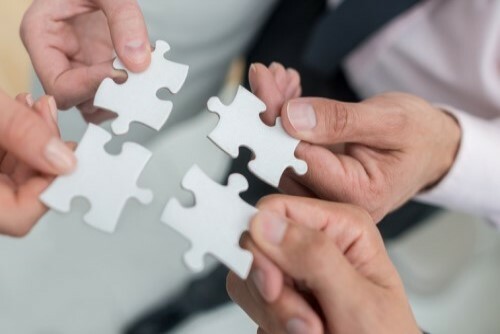 Merger and acquisition activity in the global insurance sector is bouncing back after a two-year decline, according to global law firm Clyde & Co, and the US insurance industry is no exception to the trend. A PwC report revealed that deal value in the insurance sector reached $28.6 billion in the first two quarters of 2018, compared to $10.1 billion over the same period last year. While AXA’s $15.4 billion acquisition of XL Group had a lot to do with this performance, insurance broker deals have been the most active, according to PwC, accounting for 87% of announced deal volume. No-one needs to tell Brown & Brown Insurance about the results – the sixth largest insurance broker in the US has been on its own M&A streak this year, acquiring 10 companies totaling $50 million since the start of 2018. Its chief acquisitions officer shed light on what’s driving M&A strategy for 2018. In fact, the company has placed significant emphasis on ensuring its new business partners are the right fit and acquiring attitude over assets. Some of Brown & Brown’s recent mergers and acquisitions include Health Special Risk, Automotive Development Group, and Professional Disability Associations, to name a few. As these and other companies have become a part of the broker’s business, creating a smooth transition post-acquisition often begins before any deal moves forward. “Prior to extending an offer, we spend a lot of time getting to know one another and making sure that all parties understand their role and go-forward expectations. Once new teammates know there is a place for them at Brown & Brown, their leader is staying on board, and their compensation and benefits are comparable, the transition becomes easier,” said Penny. The Brown & Brown executive also has a few key takeaways for other businesses in the insurance sector developing their own M&A strategy. Meanwhile, the future growth strategy for Brown & Brown will involve more M&A, if a company is the right fit.